Aspen Allegations is a fictional account of a tragic drowning in Lake Singletary in Sutton Massachusetts. 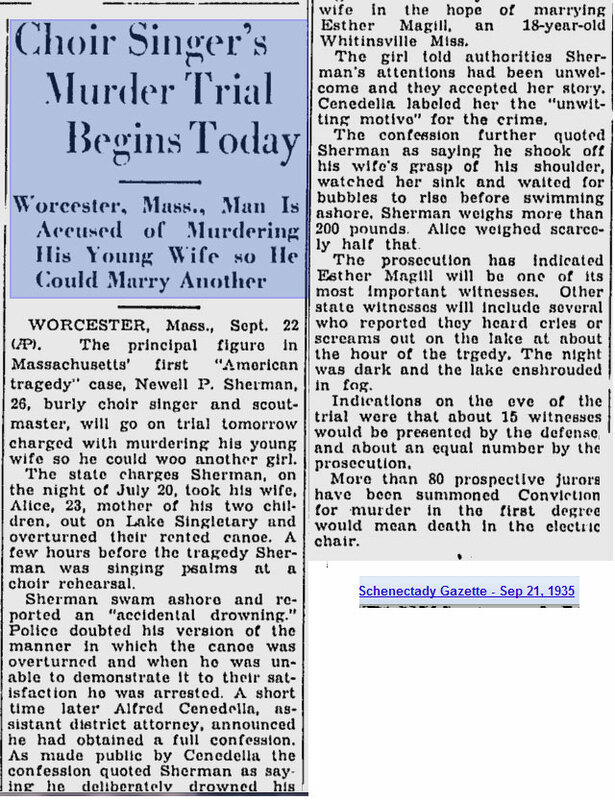 However, in researching the background for my story, I discovered that there had been an actual drowning in Lake Singletary in 1935. To lay out the full background for this drowning, it's necessary to go back even further in time. Back to 1906. In 1906, a pretty, 20-year-old woman named Grace Brown worked at a skirt factory in New York state. She fell in love with Chester Gillette, the son of the factory's owner. In short time she was pregnant and thought Gillette would marry her. He had other plans. 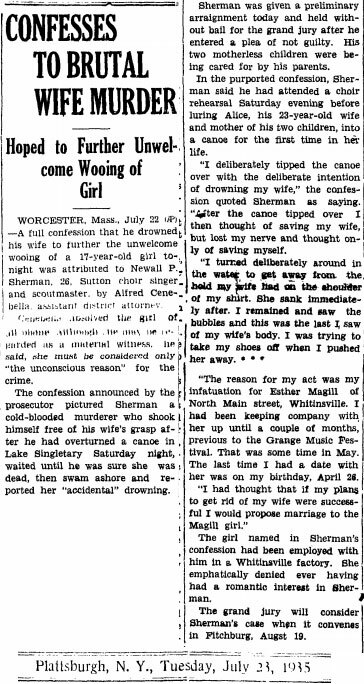 He took her up to Big Moose Lake in upstate New York, took her out for a rowboat ride, then whacked her on the head with a tennis racket. He was caught, convicted, and electrocuted. The story was covered in papers nationwide. Author Theodore Dreiser became fascinated by this story. 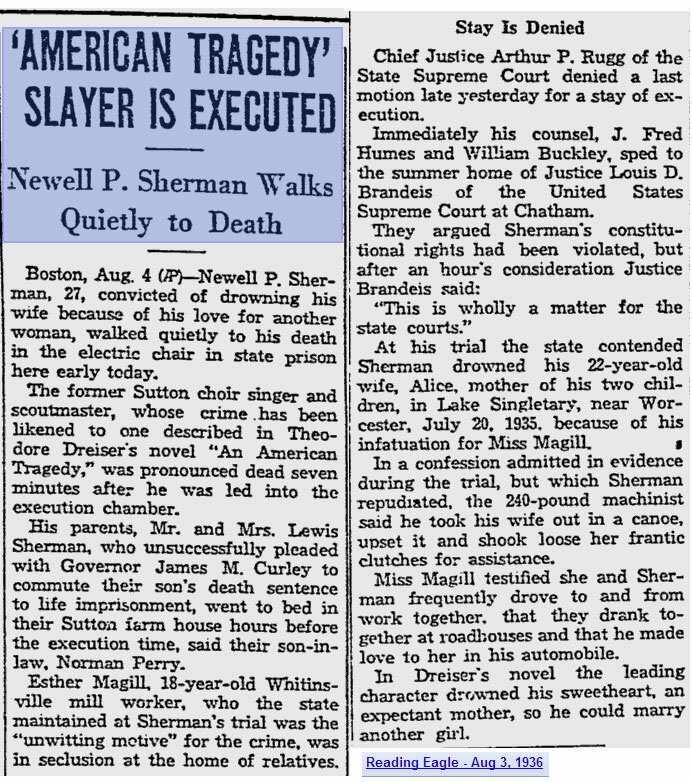 In 1925 he wrote a novel, "An American Tragedy", based on this story. In the story Roberta Alden is the woman working at the factory, and Clyde Griffiths is the young man who gets her pregnant. In this version Griffiths hits her with a camera, and it's unclear if he really meant to drown her. 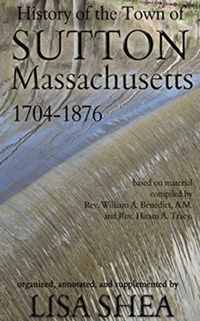 The book won many awards and was quite popular. One of the Top 100 AFI Films, Sunrise: A Song of Two Humans, then used this plot. This was made in 1927 and is set in an unnamed rural location. In it we have a sweet, angelic wife with a young child. Her husband becomes infatuated with a city girl and decides to kill off his wife. He takes his wife out in a rowboat and prepares to toss her in the water. But at the last minute he has a change of heart, and they reconcile. So then we come to 1935 in Sutton, Massachusetts. 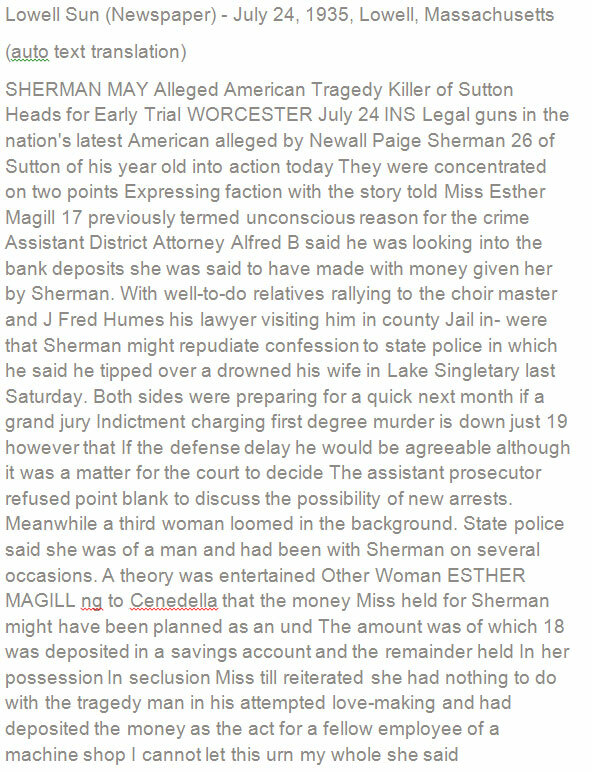 Choir-master and scout-master Newell P. Sherman, aged 26, had a wife Alice (Dudley) Sherman and two young children. The children were Janet and Dudley. 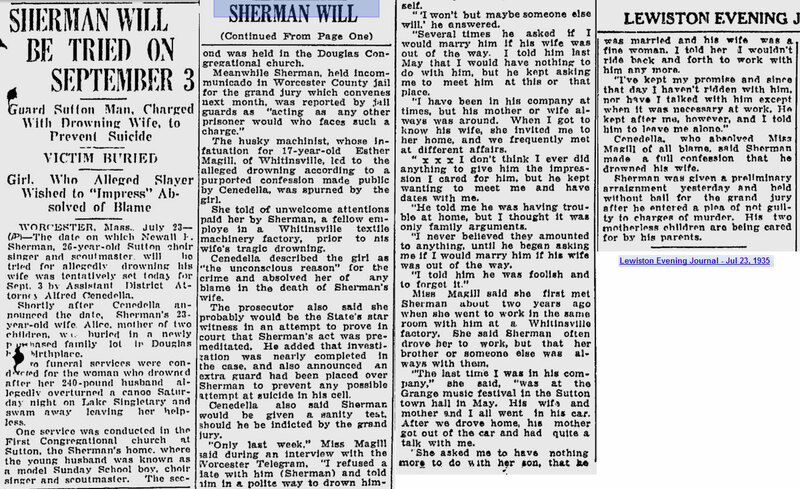 Newell became infatuated with a 17-year-old girl, Esther Magill, who he worked with at the Whitinsville Mills. Esther admits to having slept with Newell. 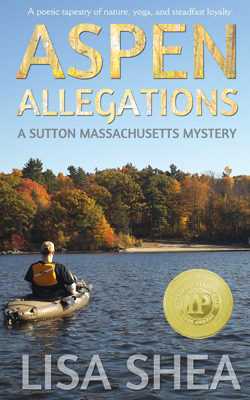 Newell rented a canoe on Lake Singletary in Sutton MA for 50 cents, took his wife out in it, and then drowned her. He first confessed to it and then later recanted. He was tried, convicted, and executed. Then in 1961 came A Place in the Sun with Elizabeth Taylor and Montgomery Cliff. This was based on the novel An American Tragedy. 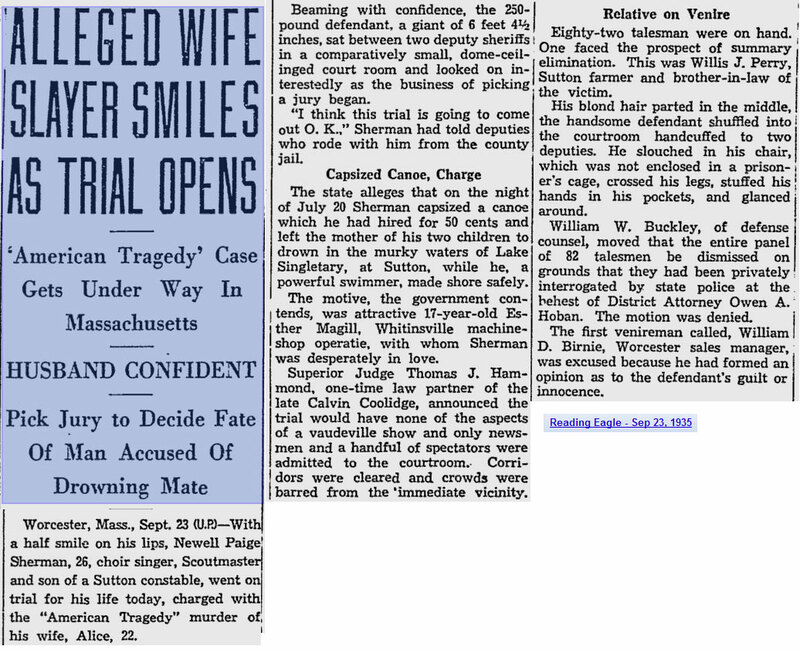 In this story the man is George Eastman, the victim is Alice Tripp, and the "other woman" is Elizabeth Taylor. 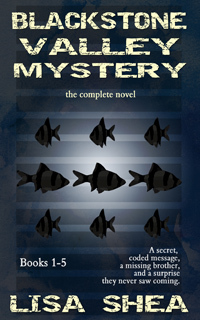 Set in California, Cliff takes the pregnant woman out in a rented rowboat on Loon Lake to drown her. In this case he actually changes his mind, decides not to drown her, but she falls in anyway and despite his best efforts she drowns. So the plot is more ambiguious. When I went to write my novel I had seen both Sunrise: A Song of Two Humans and A Place in the Sun. But I didn't realize at the time that they were based on a true story. I also didn't realize that the story had been reenacted right here in Sutton. So it definitely seemed interesting that my drowning set in Lake Singletary had real life precedence! Newell was buried in the West Sutton Cemetery. 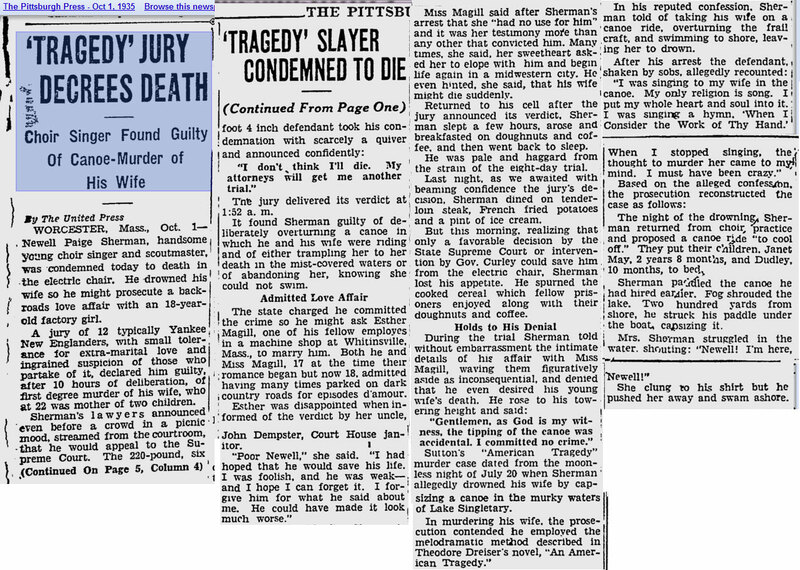 Here are newspaper clippings about the Sherman murder.